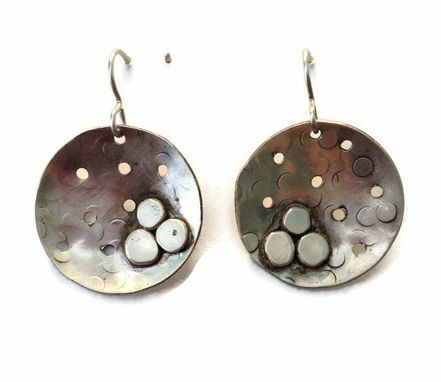 Textured concave heavy gauge sterling silver discs with silver pebble detail. 1" diameter. On sterling silver earwires. Pebbles can also be done in copper or bronze.